Lindsay Groves is a certified Sommelier, Wine and Spirit Education Trust (WSET) certified Wine Educator and wine journalist. Holding a Winery & Viticulture Technician Diploma and the WSET Diploma, Lindsay is currently pursuing the Master of Wine qualification through the Institute of Masters of Wine, UK. In addition to being named ‘Ontario Sommelier of the Year’ in 2007 by the Ontario Tourism Marketing Partnership Corporation, she was also recognized as one of the Ontario Hostelry Institute’s “Top 30 Under 30” in 2008. Lindsay is a member of the Wine Writers’ Circle of Canada, and she contributes regularly to a number of publications internationally, as well as reviewing wines for kwäf.ca. With over a decade of experience in the wine and hospitality industry, Lindsay originally studied oenology and viticulture at Niagara College, Canada. After graduating, she spent time working at wineries abroad, most notably in Champagne and Bordeaux, France and Stellenbosch, South Africa. In 2010, Lindsay took a position as the Head Sommelier for Oberoi Hotels, India. Following this, she went on to work as a wine consultant and educator with the Starwood Group throughout the sub-continent. 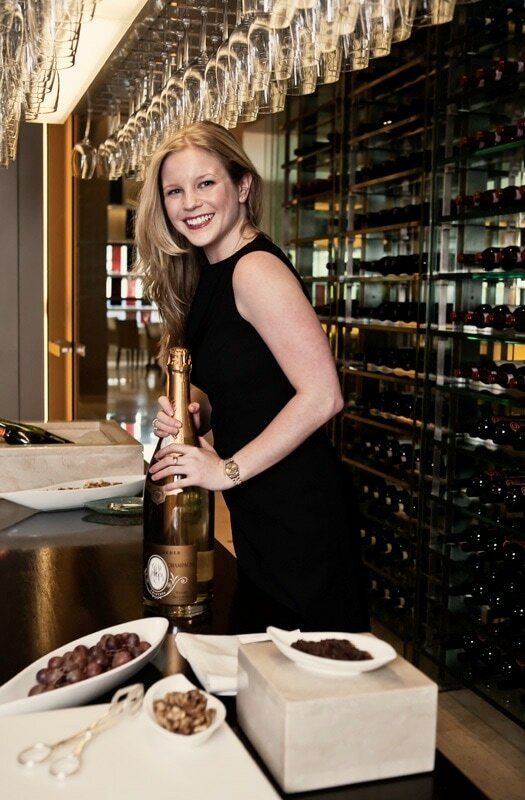 More recently, Lindsay worked with Terroni restaurants in Toronto as a wine consultant and wine educator. She currently teaches at Humber College as part of the School of Hospitality, Tourism and Recreation in addition to the Independent Wine Education Guild (IWEG), and is working as a consultant with Loblaw Companies Ltd. Aside from wine, Lindsay’s passions include travel and immersing herself in other cultures and languages. We all know that life is too short to drink bad wine. Lindsay is pumped to be one of the kwäf Taste Buds, who work tirelessly to taste through tons of wines to find you the best bottles. Is there a more noble pursuit? Lindsay is an Instructor with the Independent Wine Education Guild (IWEG), who offer all levels of the Wine & Spirits Education Trust (WSET) Program. Recognized as one of the Ontario Hostelry Institute’s Top 30 Under 30 for 2008.